Entrepreneurial communities impact the socio-economic development of their territories by enhancing existing skills and generating new ones, by actively identifying assets, by promoting innovation through better performance and competitiveness of the local formal economy – and by seeking ways to influence how they are governed. and capital, and voluntarily invest resources in skills development. However, they deliver more than just skills and economic benefits. and collaboration ensures that vocational education and training providers produce graduates with relevant skills who find jobs. Their support to entrepreneurial learning ensures promising local entrepreneurs are discovered, educated, financed and supported throughout their business lifecycle. a disability in Tbilisi, the capital of Georgia. This is no longer the case. The Mermisi College, one of six vocational schools to pilot the government’s inclusive education programme, has, together with its partners, broken the silence and stigma that surround disability. The entrepreneurial community has successfully connected over 250 local businesses through formal agreements to train and employ students from the college, irrespective of their disability. The sizeable web of partnerships of the Georgia entrepreneurial community goes beyond the government’s inclusive education programme to ensure a skills match and school-to-work integration that does not look at disability. The Georgia entrepreneurial community, based in a district of Tbilisi, exemplifies the way a policy of inclusive education is getting off the ground. A local vocational education and training facility has created a positive learning environment where students with and without disabilities, and from varying age groups and educational backgrounds, not only learn together, but also participate in initial and continuing vocational education and training, work-based learning, and apprenticeships together. Georgia is eager to demonstrate progress in educational reforms and to align policies and practices with the EU agenda centred on education for all and social inclusion. The aim of the government is to mainstream inclusive education so that it becomes an integral part of vocational education and training across the country’s vocational education providers. The focus is on on-the-job learning to equip students with the necessary skills to find employment. In the regional context, the approach to inclusive education is breaking boundaries and shifting paradigms. for Vocational Education and Training 2013-2020.
in integrating students into the world of work. Tracer studies indicate that 74% of the graduates have successfully integrated into the labour force, with some specialisations reaching as high as 95% integration. the local district and with 250 local businesses through education-business cooperation. The entrepreneurial community has translated the national policy on inclusive education into action by turning what some might perceive as barriers into opportunities. The students, whose ages range from 15 to 68, all come from different backgrounds. The district provides modest support to the college in terms of small infrastructure improvements. However, the main collaborative advantage among the partners comes from the district linking the college and its 72 teachers to local employers, which then enables the college to connect students to work-based learning and apprenticeship opportunities. Equipped with information on local businesses, the main obstacle facing the Director of the Mermisi College is breaking through the stigma and convincing employers to hire students living with disabilities. us were all well prepared. I would encourage all employers to work with college students because our country is developing and we need to support our young people.” Natela Tsukhurkaidze, Kartuli Samosi Ltd.
the stereotypes of those living with a disability. This is essential, as stigmatisation is the main barrier to their employment. The entrepreneurial community engages with and educates employers to secure work placements for students, including those living with a disability, which is critical for their integration into the world of work following graduation. 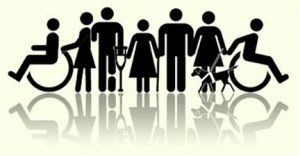 A person living with a disability must meet the minimum job qualifications set by the employer and possess the relevant skills, experience and education, and meet medical, safety, physical and other requirements. Employers too make reasonable accommodations to the students while Mermisi College ensures that a teacher is always at hand during the integration period. Following initial difficulties in obtaining the first partnership agreements with local businesses, today the results are there for everyone to see. Not only are employers satisfied with their experience, but they have also discovered the benefits of hiring employees with disabilities. In addition to relevant skills, employers report high levels of motivation and dedication as well as excellent social skills. Faced with the sizeable task of coordinating over 250 partnership agreements with local businesses that are mostly small to medium size, the hard work of the Mermisi College is paying off. Enver Megrelishvili is a 21-year-old electrician, a graduate of Black Sea Vocational College and now employee of Energo-Pro Georgia. It is the Memorandum of Cooperation signed by the college and the company that allowed Enver to successfully pass through the competition of the company, received a scholarship for his studies, completed three month internship and is now employed at Energo-Pro Georgia. Energo-Pro Georgia, with the purpose of supporting vocational education, signed memorandum with the Ministry of Education and Science of Georgia and 12 vocational colleges (New Wave, Spectre, Mermisi, Iberia, Opizari, Phazisi, Lakada, Modusi, Black Sea, Gldani Vocational Training Center, Horizonti, Gantiadi). This cooperation focuses on vocational training of students, raising qualified workforce, and future employment of students. Within the framework of Energo-Pro Georgia’s project “Youth Involvement in Vocational Education” all young people that meet the competition criteria and are enrolled in electrician, welder, and similar programs of VET colleges, receive 150-200 GEL monthly scholarship during their study period. At the end of the program, students are given the opportunity for 3-month internship within the company, while best of the best are employed. Such paid practice increases motivation of vocational students, makes practical component more practical, and supports generation of better skills. Within the framework of its project, Energo-Pro Georgia also works with boarding schools and children’s homes so that young people that are soon to start new independent life are encouraged to apply for such positions in VET colleges. The company will pay monthly allowances and help with further employment. 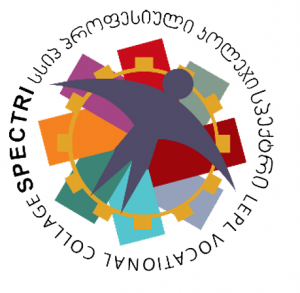 Since 2012, the Ministry of Education and Science of Georgia, together with the Ministry of Justice of Georgia has been implementing a program to support vocational education of convicted individuals. This is the first state initiative aimed at providing convicts with opportunities to master desired occupations and therefore, increase their chances for employment/self-employment. The program also supports rehabilitation/re-socialization of these individuals and turning them into full and productive members of the society. The program covers not only the persons with remand, parole, or detained in various penitential institutions, but also their family members. VET courses take place within colleges Ikarusi, Mermisi, Spektre as well as Gldani Vocational Training College. During the first phase, just Ikarusi trained up to 60 individuals and plans to train more in the future. Program participants study to become guides, cooks, accountants, IT professionals; they learn English and Georgian languages, various computer software, communication and other skills. Program participants believe the courses are necessary as well as beneficial both for learning and for post-release integration into the society and employment. Many believe the courses helped them to master skills that were not always available or accessible to them. Involvement of private sector into the system of vocational education is extremely important for the purposes of harmonizing vocational education with labour market requirements, approximation of vocational qualifications with modern standards and increased quality. Cooperation is essential for the vocational education system to meet demands of the employers as well as those of students and government. To achieve this goal, vocational college Spectre actively works with leading German companies Caparoll, Knauf, and Heidelberg Cement. On February 1, 2013 Memorandum of Cooperation was signed between Spectre, GIZ and above construction companies within the framework of “Improved Construction-Related Vocational Education in Georgia”. The agreement is about modification and development of the educational programs, related to the construction sector (painter, electrician, plasterer, welder, plaster-carbon specialist). Within the framework of the memorandum, participants committed to contribute to the improvement of the vocational programs within the sector of construction, which is also the interest of the parties involved. The project enables employers to find and employ professional workforce at no extra cost. At the end of 2013 parties completed work on the new standards, joint educational programs and syllabuses. It should be noted, that within the framework of the project 50% of vocational and practice teachers were trained in line with the requirements of the labour market and new standards. Partner companies supported rehabilitation and equipping of college laboratories, and the new process for practical component was introduced with the use of modern technologies. Besides, parties worked together to create new modern textbooks in specialties like electricians, welders, plaster specialist. These textbooks are accessible to all vocational institutions implementing programs in the given fields.